We were once “subjects”. We cast off our king and became “citizens”. 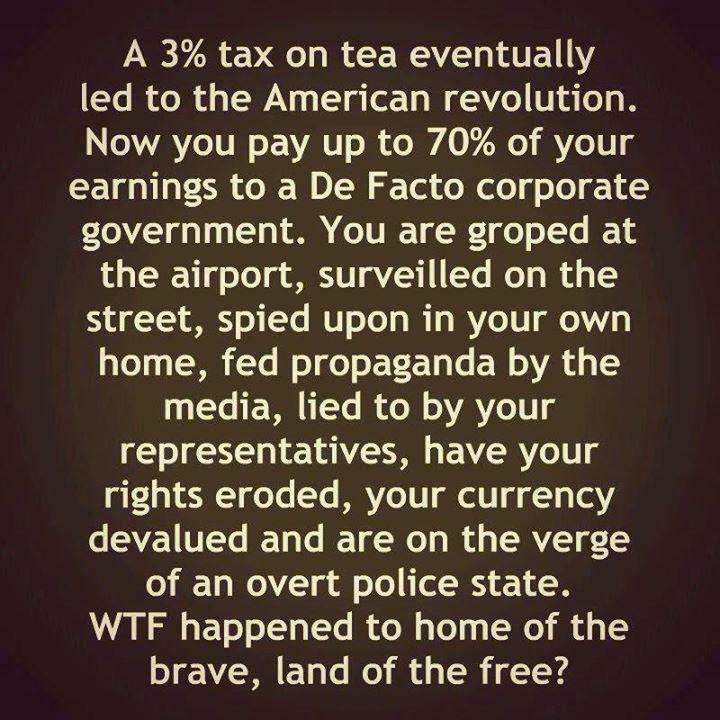 We no longer served the king… The government was designed to be elected by and answerable to us, not the other way around. But as time passed, citizens became lazy. Collectively we slowly ceded our rights to those who supposedly serve us. Now they think we serve them… And we give them little reason to think otherwise. Now “public servants” ignore the laws that limit their power. They dictate to you, they strip your rights as if there were no constitution that guarantees they cannot do so. And all the while a complicit media pretends it isn’t happening. Collectively the US public has allowed people to piss on our boot and tell us it’s rain for so long that now failing to do so is now considered “extremist”. Given that definition… Hell yes I am an “extremist”, and anyone that isn’t is just a sheep. Bottom line, if ignorance is bliss, most Americans should be ecstatic. Previous Post Which side of the War on Terror is Obama on?